Ctrl+F12 is the keyboard shortcut. For those pesky Apple MacBook keyboard layouts that otherwise adjust the volume, use Ctrl + fn + F12. Num 7 on keypad does it for me. Remember it works only when Num Lock is off. ctrl+fn+F11 on Mac to change the landscape to portrait and vice versa. Ctrl + F11 and Ctrl + F12 both work. On Ubuntu none of the keys (Ctrl+F11/F12 or numpad 7/numpad 9) worked for me. But I can rotate the emulator sending the keys with xdotool. xdotool search --name "Galaxy" key "ctrl_L+F11"
Ctrl + F11, numpad 7 and numpad 9 don't work on my Ubuntu box, but Ctrl + F12 does. You no longer need to remember the shortcuts. 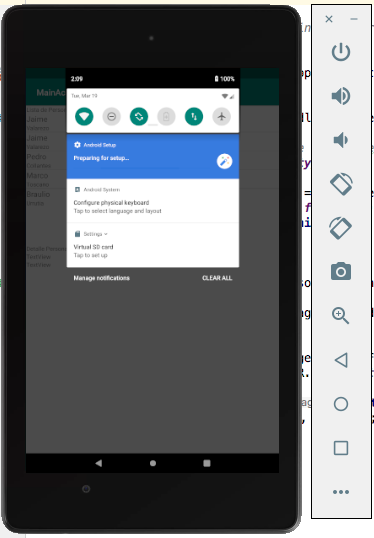 The latest Android AVD interface contains a sidebar with various functional shortcuts. I've circled in blue the buttons that rotate the screen clockwise and counter-clockwise. Fn + 7 is a solution for keyboards where the num keypad is merged with the main keypad. Here the key with 7 (and &) is the key that has the blue-coloured 7. In my notebook, Dell Latitude E4310, the Ctrl+F12 keys do the job. My virtual device could not be rotated. Go to the device list, click settings and change the predefined resolution. Use function + 9 for HP laptops. Others keys specified in previous answers didn't work for me. All of the above methods didn't work for me. Using Left Ctrl + <Windows Key> + F11 worked on Linux Mint 17. In the updated emulator you don't have to remember the keyboard shortcuts -- they have added a side panel to the right side of the window. 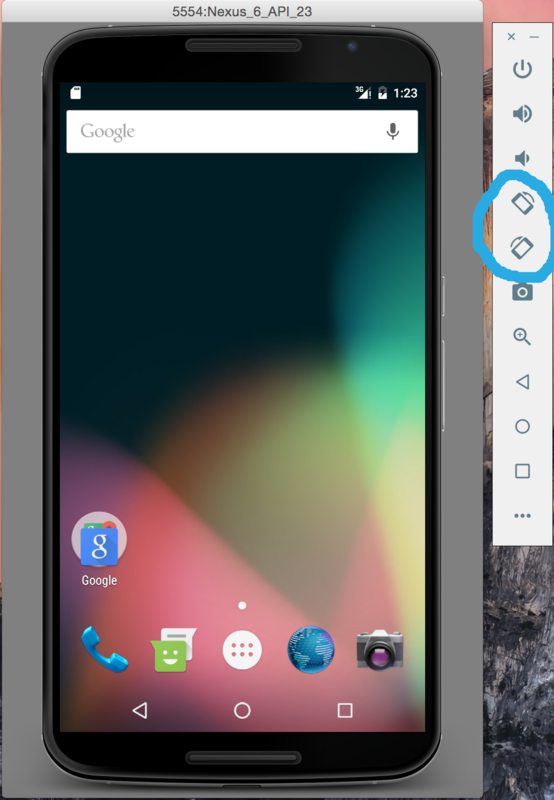 You can change the screen orientation by clicking either of the "rotate" buttons in that side panel. Just click on Rotate button to change the landscape to portrait and vice versa. Ctrl + F12 also works for Windows 10. Additionally, you must verify the autorotate setting on the emulator. Because of if this setting is off, you can't change the orientation besides press the rotate buttons. In the following picture, I will show how you can do this. Not the answer you're looking for? 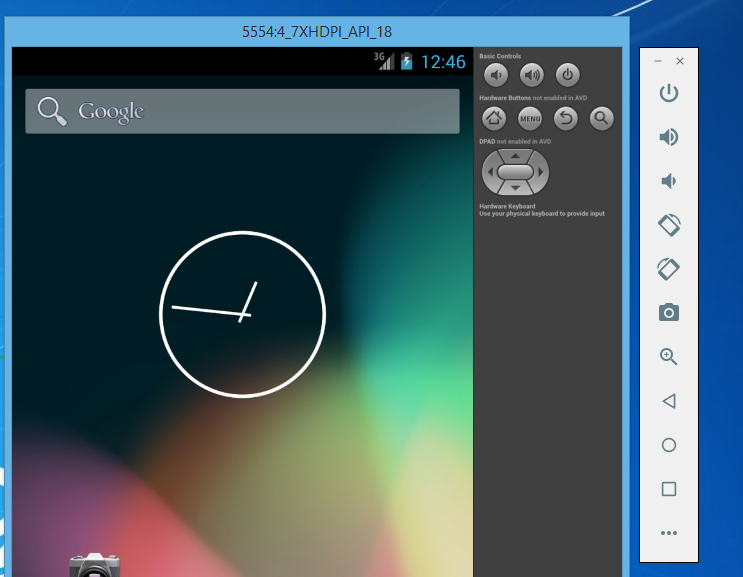 Browse other questions tagged android emulation screen-orientation or ask your own question. How do I emulate changing the orientation of my android device?